A Jew who lives in Baltimore, Maryland, USA. 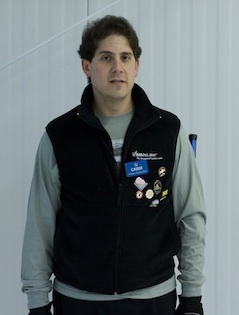 I curl, and I work as a software developer. When I’m not programming, and not spending time with my family, (and when the season is right,) I enjoy curling out of the Potomac Curling Club in Laurel, Maryland. So. Follow along on the journey of “יונתן מתניה ומלה היום” – Yonatan Matanyah and the Word of the Day. If you’re on Duolingo or Memrise, feel free to follow me – I’m “tjcinmaryland” on both sites. The following are the six questions I am asking.